A total of 400 people attended the commemoration, about 256 of the participants were women and 144 were men. 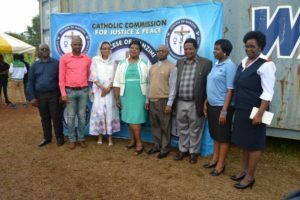 One of the program’s (CCJP) objectives is to reach both Catholics and non – Catholics, of the 400 that attended about 29 were non – Catholics (17 Females and 12 Males). The celebration commenced with mass which was led by Father Makama. He encouraged participants to leave their comfort zones if they want to grow, and Christians are the light of the world therefore they should take care of the sick. 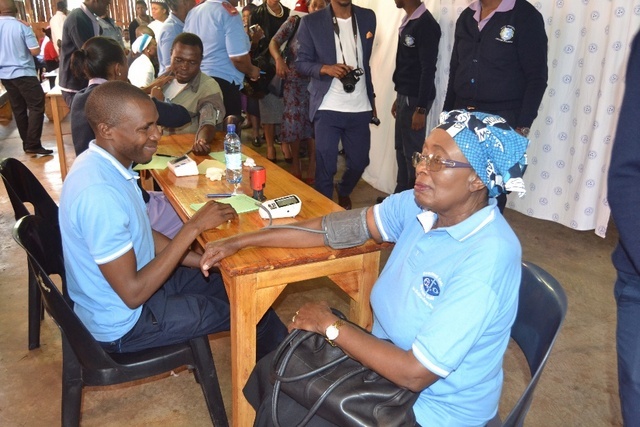 Testing of diabetes, eye testing, HIV and other chronic related diseases was conducted on various gazebos pitched outside the church premises. Nurses and Doctors from several health institutions gave medical attention to the residents of Kwaluseni and surrounding areas. In her presentation, the Honorable Minister of Health Senator Sibongile Ndlela–Simelane stated that the Catholic Church is one of the oldest Health partner in the Country and the Government of Swaziland recognize the work done by the Church through its Health Facilities located in different parts of the country. “The spirit of serving that is present in the Catholic Church need to be duplicated to all the Churches that we have among the Christian community”, she added. She concluded by mentioning that His Majesty’s Government remains committed to providing assistance where it can to the Health Services provided by the Diocese of Manzini, which is of high quality and equitable health services to all living in the Kingdom of Swaziland. 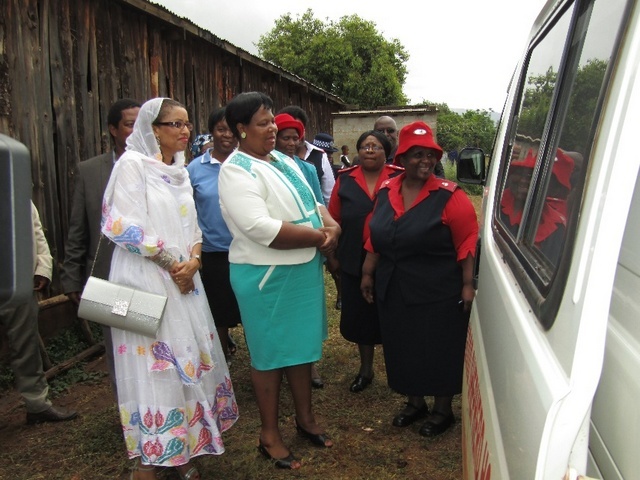 WHO representative and Minister of Health being showed one of the mobile clinics at the event.